Greenocks's mansion on the outskirts of Paris. He "shares" it with W-, a doctor of some kind. Often a man may find answers in battle, for such a man the epiphenomenon of their innermost thoughts pervade the empyrean shores of sheer fantasy. For such a man indeed the Quagga is the most valuable thing, for another such man, it is but a trifle. For the common man The Case of the Quagga of Kuala Lumpur is one of the more bizarre instances of law and order in the 20th century. The Quagga is an endangered beast that must be retrieved from the trischopian thought processes of a diabolic mind, cultured by the best philosophy and a taste for whale foreskin sofas. A mind honed to the methods of Greenock as well as the subtle arts of necromancy and the bestial needs of lesser men as well as having a perversity which only good breeding would allow. 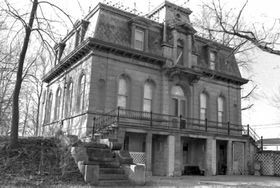 It was well known that the Parisian chief constable was often seen to converse with Dr. Finnius Greenock, whom I have the privilege of sharing a mansion in the more modest area of Paris, France. Greenock was famed in areas of parochial law enforcement for his abilities in unsurpassed reason and the less than orthodox sciences such as metaphysics and complex logic. Greenock was also known to use the visions of chemically induced states which he was accustomed to employ in his pursuit of truth. 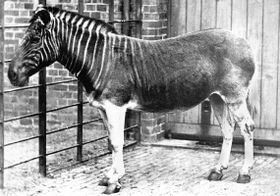 The Purloined Quagga, affectionately known as Stumpy. ‘Speak no further my cretin commissioner’ Greenock interjected, ‘my sweet W-, go next door, I think you will find the chief's quarry.’ I was shocked, there in the room was the Quagga, perfectly fit and well but for a glass eye. ‘How is this possible? Are you some kind of sorcerer?’! I ejaculated. Greenock paused in the same absent minded way as when he was post-coital, and then promptly continued, ‘as my investigations progressed I intuited that Count V-, my old adversary was behind the deed. He is a master of artistic reasoning and could no doubt see a plan fulfilling itself, luckily for us he was only able to take out an eye, which he used for various sins that his hearts inclination permitted.’ I had heard a great deal of this Count V- before, I knew that despite being a sound thinker with eight degrees back to back, he was no match for the “Build up” that Finnius Greenock was capable of. 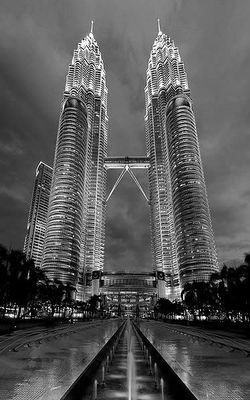 The Petronas Twin Towers in Kuala Lumpur where Count V- crashed his Balloon, or so the Malaysian police say, I was far too drunk and too jailed to see Commissioner. ‘I managed to get to Kuala Lumpur, but due to the easy access of hard drugs I was incapacitated and held under the supervision of the Malaysian authorities.' Having intuited a great deal on the matter I proceeded to track down the Quagga knowing that balloon was used and that Count V- and his accomplices had fled to the Asian capital of Kuala Lumpur I took the first train available from Paris; for there was a wider possibility that assailed me from all deductions, and I was forced to concede to some degree of amelioration to my former conclusions and assumptions I had hastily drawn together whilst at the House of Venus I was staying at a few nights previously. This page was last edited on 24 March 2018, at 08:06.